Plot - A novel writer tries to catch a murderer with her detective friend. 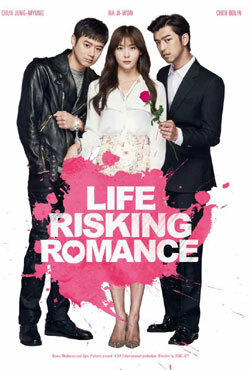 Watch Life Risking Romance to know that they are able to find out that murdered or not. A mystery novel writer, Je-In with her longtime detective friend Rok-Hwan, tries to catch a serial killer. Jason, a handsome and mysterious man appears in front of them. Box Office Earning of "Life Risking Romance"